Since my last email there have been numerous exchanges with the Council. Carol has informed me that in a meeting with the Chief Excutive, he admitted to the parking issue having become “skewed”. The situation is that 32 season tickets have been issued to commuters and the rest of the spaces are being taken up with all day parking. Carol informs me that the Council is committed to resolving the situation. They keep mentioning better signage directing people to the British Legion Car Park. Still nothing done. Talking about it and actually doing it is something the Council finds difficult. Carol has agreed we need 2 hour limit short term parking spaces urgently. John Tenconi (Wenworths Residents Association) has highlighted the need for the Council to plan for “substantial” new parking going forward. He points to the problem directly being caused by the Council not correlating its thinking on planning with the disposal of the Bourne car park. He further highlights the fact that the local plan if only partly passed will grow demand significantly with more and more commuters and shoppers requiring parking. He rightly states the Council is sleep walking into the destructiuon of the Village. Nick Prescot (Council Leader) commented that the council is not able to take instant decisions based on customer service requests. I reminded him that the problem was brought to his attention over a year ago and that the Council only wakes up once they have been reminded of the problem again. So on and on it goes. Mr Prescot further reminded me that £300,000 of “tax payers money” was spent on the extension of the Memorial car park. His comment beggars belief. This from the leader of the Council. I reminded him that it was after they sold the Bourne car park for over £6 million and that business rates from businesses in the Village contributed more than £300,000 a year. The Doctors surgery has come under renewed pressure from the NHS to keep up with soaring demand for new patients. They emailed the Council stating they were concerned with patients having no where to park, the impact on the elderly and immobile, the parents with babies and small children. Nick Prescots reply – “Noted. We will deliberate”. Time for deliberation is over. We need action. 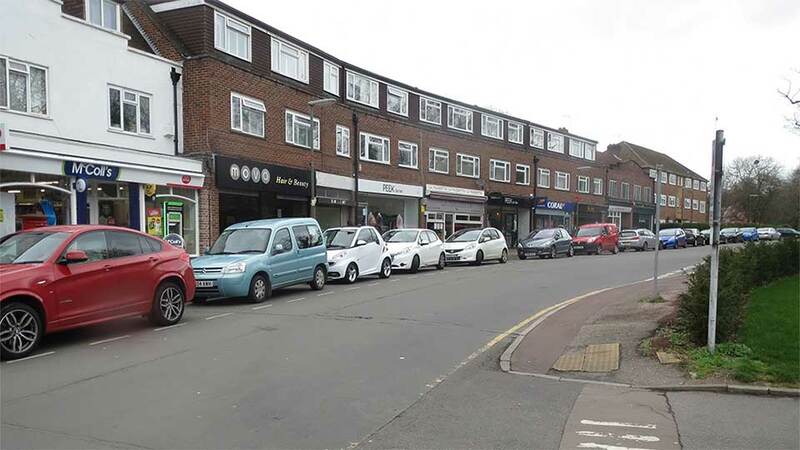 After several exchanges with the Council, the Chief Executive, Paul Turrell has come up with a suggestion of 6 parking bays for short term parking. I have rejected this as being of no use and that it goes no where in solving a very serious problem. It was in July 2017, Mr Moss and myself was informed that the (CMC approved) report outlined a starting point for a distribution of the 90 spaces once the extension of the Memorial car park has been completed. It is proposed to start with 50% being for commuters and 50% for shoppers. There was no appetite for giving preference to Virginia Water residents. The usage of the new car park will be monitored and can be adjusted if necessary after consultation with local residents. So why did the Council not implement the agreement. It shows no real concern for the residents and businesses of Virginia Water. I have asked Paul Turrell to implement what was agreed in 2017. He has said he would put it to the members. Sadly, Carol Manduca will not be standing in the upcoming Council elections in May. She sites bullying and intimadation which is yet of more concern with the behaviour of this Council. Please continue to press the Council on this very important matter as they need constant reminding if they are to do anything at all. Council elections come up in May this year.